The new Bitplay SNAP for the iPhone 6-7 Plus, is the perfect and most affordable set to enhance your iPhone’s camera, without actually having to spend a ton of money to improve your shots. Because with the Bitplay SNAP, you’re able to take quality photos, travel with it and hold it just like a real camera, due to it being completely portable and functional like a typical point and shoot. It also comes with a shutter button that works through the volume button whenever you need to quickly take a shot; to give it more of a natural camera feel, whenever you take a picture or a video. Another cool thing about it, is that its lenses are also interchangeable. Meaning you can switch it out with a fisheye/macro lens, a circular polarized lens, a 3X telephoto lens, a HD wide-angle EF 18-mm lens, a full frame fisheye lens, as well as a standard wide-angle/macro lens, for a variety of different filters and looks for your photos and videos. 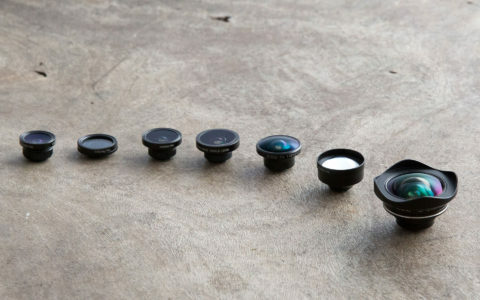 So if you’re interested in the new Bitplay SNAP for your iPhone 6-7 Plus, then you can always be sure to check it out at their official website, where you can purchase any of the lenses, grips or handles separately, or buy the pre-packaged set of just the case with any lens of your choice, for around $40.